A forum where people come to learn about and discuss recent discoveries in science and technology while having fun! An expert will give an informal talk for 20 - 30 minutes, followed by Q & A and discussion. Attendees can get up, eat or refresh their beverages at any time. Science on tap is FREE and open to all ages! On the 2nd Thursday of each month, 6:30 - 7:45pm. 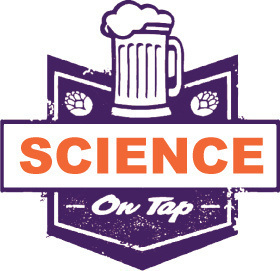 Science on Tap meets in Greenville too - see website for schedule and location. See website for a complete list of speakers and topics! Please note new 2018 meeting times and location!